Do you have a pair of sunglasses or nearsighted eyeglasses you love, and you can’t stand the thought of replacing them with bifocals or reading sunglasses? That’s where stick-on magnifying lenses come in handy. A stick-on magnifying lens is essentially the magnified part of bifocals or readers without the rest of the lens. You can “stick” them on a pair of sunglasses to make reading sunglasses — or you could stick them on nearsighted glasses to make bifocals. People sometimes comment about these not sticking well, but it’s all in applying them correctly. Here’s how to apply stick-on magnifying lenses. 1. Determine what magnifying prescription you need. Use our diopter test to determine what strength reading glasses you need. 2. 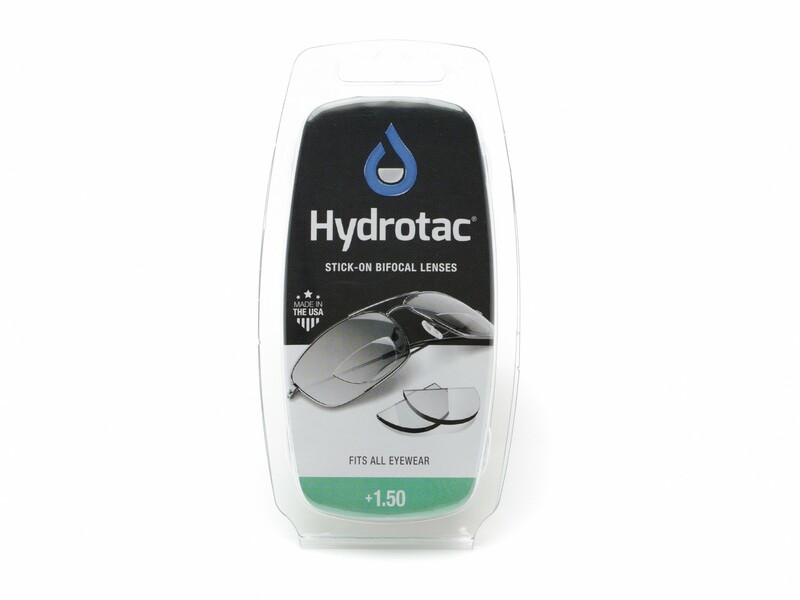 Using warm, clean, and soap-less water, clean both sides of your glasses lenses. 3. Set your glasses lens-down and pool some warm water inside each lens. 4. Grab a ruler and determine the best positioning for each magnifying lens; they should be roughly 2 ½ inches apart. 5. In one hand, hold one magnifying lens, curve down. Place the magnifying lens on the glasses lens so the curve is near the bottom of the frame. Repeat this with the other lens, remembering to keep them around 2 ½ inches apart. 6. Dab off excess water with a lint-free towel. Refrain from wearing the glasses for 12 hours, the amount of time they need to thoroughly dry. Take Note: Stick-on magnifying lenses are fairly easy to remove by running them under hot water.